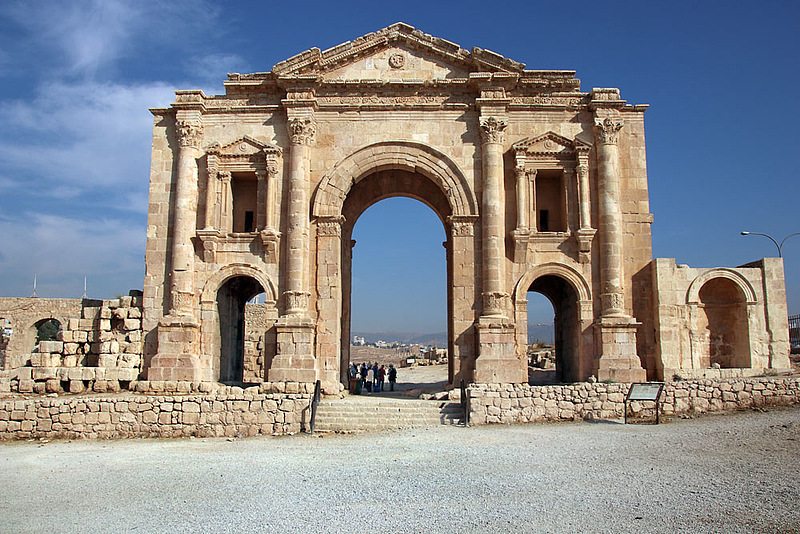 Built in honor of Roman Emperor Hadrian's stay in Gerasa during the winter of 129/130 AD. 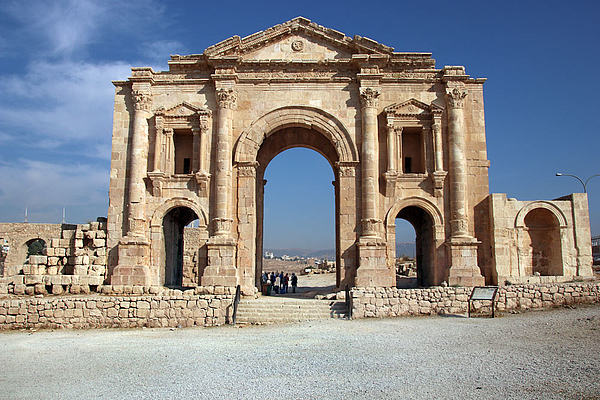 One of the largest known arches of the Roman Empire: 25 m wide and 21.5 m high, the main gate is almost 11 m high and almost 6 m wide. Since all fallen parts could be identified, a reconstruction was possible. Originally not designed as a free-standing structure, but as a magnificent city entrance, inserted into a city wall that was not built here after all. A Greek inscription adorned the north facade looking towards the city. Soon after the inscription was engraved, the titles of "sacred, asylum and independent" given to the city were erased. This was probably done on order from the emperor, and indicates that there were political disturbances within Gerasa, which probably occurred at the time of the second Jewish revolt (132/135 AD).